The licensing, and discipline of medical doctors and related medical professions is vested in the Medical Board of California. Business and Professions Code §2236 mandates that prosecutors immediately notify the Medical Board of the pendency of a misdemeanor or felony prosecution and that the court clerk notify the Medical Board of a physician’s conviction for a felony or misdemeanor offense within 48 hours after conviction. In addition, the Medical Board will receive notice of any arrest involving a medical profession by virtue the the “Live Scan” fingerprints that are on file with the Department of Justice. A physician must report in writing to the Medical Board any pending felony charge, and any misdemeanor or felony conviction, with- in 30 days. Failure to do so is a separate criminal offense with a minimum $5,000.00 fine. Bus. & Prof. C. §802.1. Forms for reporting are available from the Boards websites. See, Form 802, which is available at the California Medical Board of Quality Assurance (BMQA) within 30 days. B&P §802.1. FORM 802 is available at BMQA’s website: www.medbd.ca.gov/forms/Index. html (Medical Board of California). Doctors have their medical licenses inactivated during any period of incarceration, and this inactivated status (and the reason for it) is posted on the Board’s website. The use or prescribing for or administering to himself or herself, of any controlled substance; or the use of any of the dangerous drugs specified in Section 4022, or of alcoholic beverages, to the extent, or in such a manner as to be dangerous or injurious to the licensee, or to any other person or to the public, or to the extent that such use impairs the ability of the licens- ee to practice medicine safely or more than one misdemeanor or any felony involving the use, consumption, or self-administration of any of the substances referred to in this section, or any combination thereof, constitutes unprofessional The record of the conviction is conclu- sive evidence of such unprofessional conduct. A plea or verdict of guilty or a conviction following a plea of nolo contendere is deemed to be a conviction within the meaning of this The Division of Medical Quality may order discipline of the licensee in accordance with Section 2227 or the Division of Licensing may order the denial of the license when the time for appeal has elapsed or the judgment of conviction has been affirmed on appeal or when an order granting probation is made suspending imposition of sentence, irrespective of a subsequent order under the provisions of Section 1203.4 of the Penal Code allowing such person to withdraw his or her plea of guilty and to enter a plea of not guilty, or setting aside the verdict of guilty, or dismissing the accusation, complaint, information, or indictment. In Watson v. Superior Court (2009) 176 Cal.App.4th 1407, the physician was arrested in 2000 for a DUI with a BAC of 0.08% which was dismissed. In 2003 he rear-ended a vehicle with a 0.06% BAC, but no charges were filed. In 2004 he was involved in an accident with PAS results of 0.087 & 0.081 and an evidential test of 0.07%. In 2005 he was again arrested for DUI but not convicted because he had a BAC of 0.06%. Notwithstanding the lack of convictions, the Court held that the Board was justified in imposing discipline based on four incidents in which he drove a vehicle after drinking under circumstances that posed a danger to himself or others. B&P §2239 has been upheld to provide for physician discipline resulting from a DUI conviction. Griffiths v. Superior Court (2002) 96 Cal.App.4th 757 (more than one misdemeanor conviction involving alcohol consumption has a logical connection to the fitness to practice medicine). The Board appears to be taking a greater role in investigating even 1st offense DUI convictions. We have seen an increase in the instances where the Board has requested personal interviews with Doctors convicted of offenses involving aggravated circumstances such as accidents, high blood alcohol concentrations and allegations of hit & run. A treatment program may be ordered in connection with a physician’s discipline for alcohol or drug abuse. The program’s requirements are set forth in Title 16, Cal. C. of Regs., §§1357. 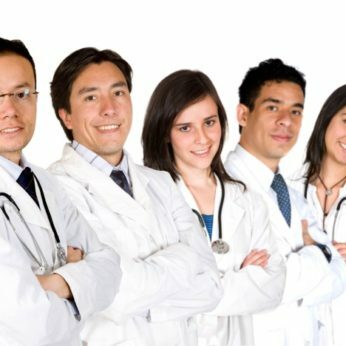 If you are a Doctor, or intend to seek licensure through the California Medical Board or someone applying for or in Medical School and you have a pending DUI or other misdemeanor and/or felony charge, you need a qualified attorney who not only specializes in DUI defense, but also has the necessary training, experience and qualifications to represent you before the California Medical Board. Your best chance to avoid license discipline by the California Medical Board is to have the best qualified lawyer to represent you for your DUI case. At the Law Office of Barry T. Simons you can be assured of the strongest commitment to the defense of your DUI charge coupled with experienced representation before the Board if necessary. Our goal is to avoid discipline by avoiding a conviction.